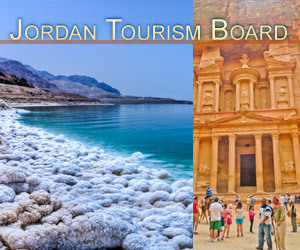 Travel to Jordan with EarthCam's and the Jordan Tourism Board's collection of live streaming cameras! Jordan is a land of mesmerizing beauty and offers so much for the modern traveller. From the beautiful city of Amman to ancient Petra to the amazing Dead Sea to the therapeutic Ma'in Hot Springs, experience views of this historic country that has become a must-see for people from all over the world.